Looking for Gutter Guards in Mentone? Sick & tired of cleaning blocked gutters? Need a solution for good? CPR Gutter Protection has been providing gutter guard and roof restoration services for over 20 years to all Victorian homes, including Mentone and its surrounding suburbs. Protecting your gutters against dust, leaves and pests is a big hassle and we understand your troubles. We always recommend against DIY Gutter Guard installations as they can extremely risky to self-install as it involves climbing roofs. Professional installers are highly equipped with safety equipment and are also fully insured. Thus, whether you need gutter protection against leaves/debris or pests and rodents, contact the experts. CPR Gutter Protection provides 20 years of warranty on all our products. These gutter guard protection systems are made from highest grade aluminium and are fully manufactured in Australia. The gutter guards ensure to keep your home safe in several ways. 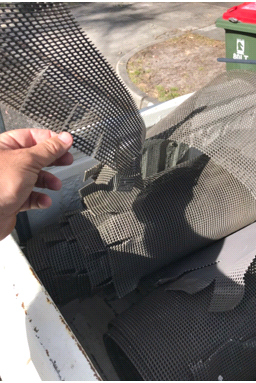 The gutter guards stop the accumulation of leaves and debris. These accumulations of leaves and debris can lead to stagnant rainwater. Clogged gutters damage the structure of the home such as walls and ceilings. The dampness from rainwater leads to growth of mould. CPR GUTTER PROTECTION Specialists can provide you expert advice to answer all your queries. We provide our customers the benefit of making a wise decision as we offer FREE MEASURE and QUOTE. Call CPR Gutter Protection at 0431 239 512 and get a free measure & quote!